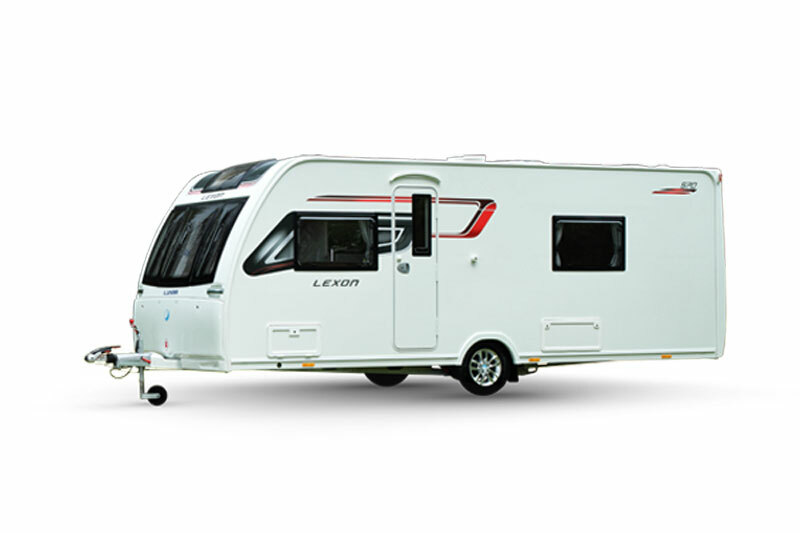 In Stellar/Lexon, Lunar has produced a mid-range touring caravan with a NEW contemporary and sleek exterior, which oozes comfort and luxury. 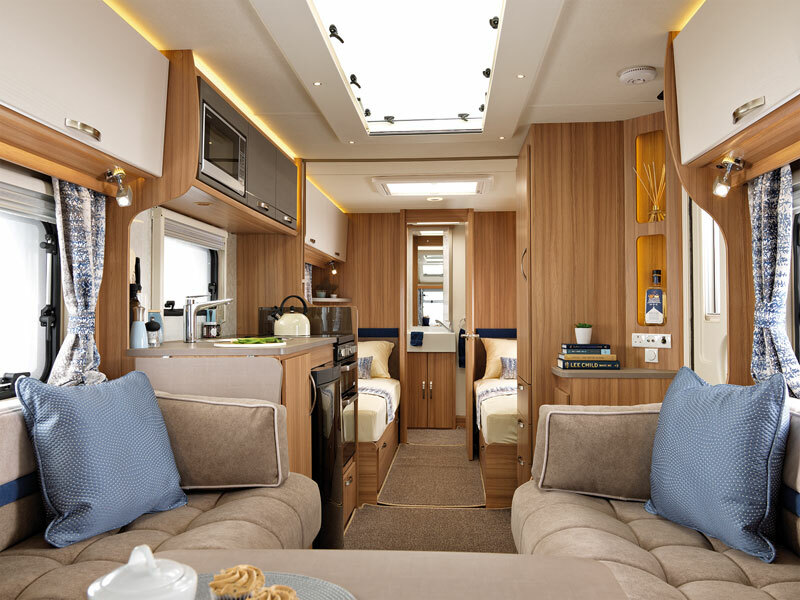 Featuring a stunning new restyled front panel and eye-catching new decal design on the exterior, and a seamless blend between the new Verezzi soft furnishings and Pearl locker doors on the interior, this range offers a boutique feel, also highlighted by the soft lighting throughout the caravan. This luxurious feel is enhanced by the wide array of LED lighting from the top of the locker to around the ‘Maxi-Skyview’ rooflight and front fascia. 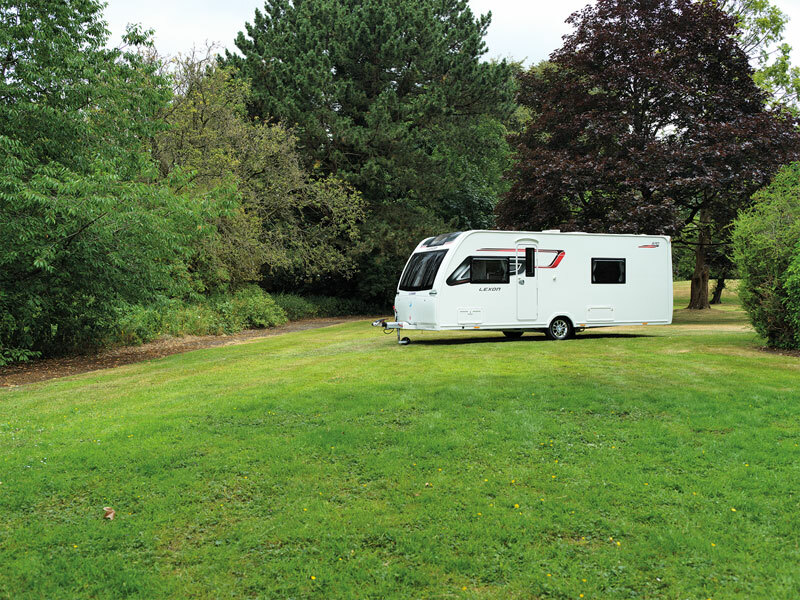 Brimming with features, the Stellar/Lexon range offers comfort on the road, not just in your caravan, with an AlKo ATC unit fitted as standard and an alarm for peace of mind when you are out for the day. Practical yet stylish, this range boasts functional storage and a great space in which to cook. For cooking up a masterpiece, Lunar has also added a new Thetford K series oven with 4 burner hob. In the washroom, a large domestic style shower and backlit vanity unit complete this sophisticated model. If you are interested in learning more about the Lexon 570, please fill in your details below and we'll get back to you with more information. Fields marekd with an asterisk (*) are required. Why not take a 360 degree tour around the 2019 Lunar Lexon 570? What do you think about the stunning 2019 Lunar Lexon 570?